Hannah Stephey is a sophomore. 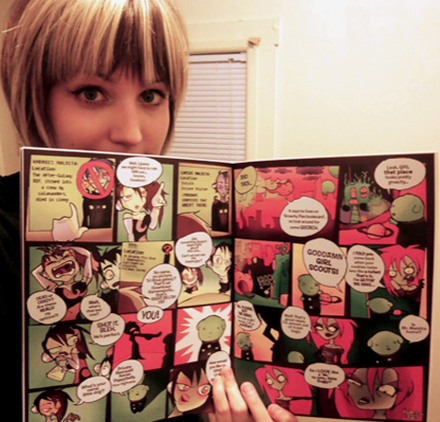 She just published a remarkable comic book through Lulu.com. Lulu is a print on demand publisher. In other words, when someone orders a book, Lulu prints and ships a bookstore quality book or, for ebooks, sends a pdf file. Hannah’s comic book is called “I (Heart) Captain; A Paper Space Opera!” I asked her to write a little bit about herself and how the project came together. “I was born in a town almost as small as Kutztown called Chambersburg, PA, but I always felt like I belonged somewhere else. When you’re an only child in a stale environment like that, your imagination is your best friend! I was always weird, and from age 6, I had a whole cast of characters based on my stuffed animals that I would draw in “books” (xerox paper stapled together). My whole life I’ve been drawing characters in books. Finally when I was 10, I made the leap to comic books, and at first they weren’t too attractive, but I pursued the craft and have been pursuing it for 10 years. 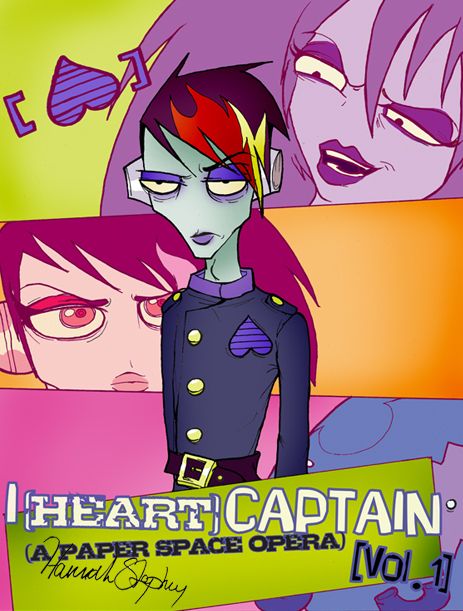 Over the summer, I put together the fruits of two years of character design and story development and called it “I (Heart) Captain; A Paper Space Opera!”, a title awkward enough for the bizarreness within.